Speed, moto and tracks... everything is for you! Just drive your vehicle like a professional and be sure that you will love it. It is so easy! So, here you will have to control your moto and just try to drive really fast. Collect coins and have so much fun here. 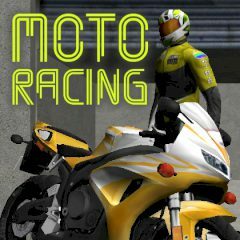 Here you will have a great chance to ride super fast motorcycles and feel the maximum adrenaline from a moto racing, could you believe that? Well, well, now you can enjoy astonishing 3D visuals while driving at full speed in different tracks. Just choose your vehicle, then choose the track and become the real champion! So, everything depends on you, just use the arrow keys to move and be sure that you will cope with it. Do not forget to collect coins and watch the time. We know that you can do this.